The Scottsboro Boys Company at the Garrick Theatre. Reviews for The Scottsboro Boys at the Garrick theatre are rolling in and here are some of the critics thoughts. Let us know what you think of the show on Twitter using #ScottsboroBoys. The Observer – read the full review here. Neil Norman, Daily Express – read the full review here. Patrick Marmion, Daily Mail – read the full review here. Laura Barnett, Time Out – read the full review here. The Metro – read the full review here. Lyn Gardner, The Guardian – read the full review here. Evening Standard – read the full review here. 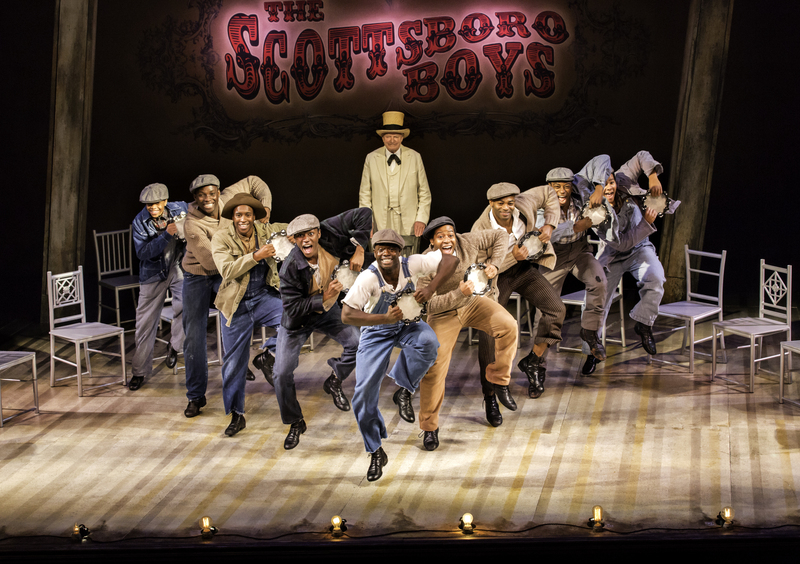 The Scottsboro Boys is at the Garrick until 21 Feb 2015. This entry was posted in Uncategorized and tagged Garrick Theatre, Kander & Ebb, reviews, susan stroman, The Scottsboro Boys. Bookmark the permalink.